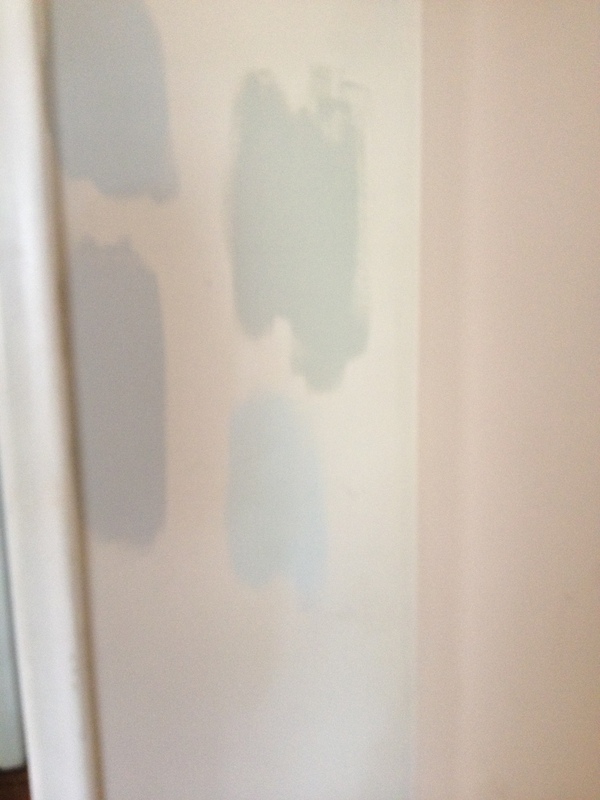 If a decorator/designer/painter tells you choosing paint colors is super easy, I don’t think they’re telling the truth. There are ways to make it easier, but choosing one color out of the thousands that are out there is just plain difficult, and everyone struggles with it at one time or another. There are tons of methods to choosing paint colors out there, but I’ve put together 5 tips on what works best for me. Hopefully you’ll find it helpful! 1. Don’t pick out your paint color…yet! Say what? Yes, you read that right. We’ve all heard that paint is an inexpensive way to make a huge impact in a room (and it’s true!). But often times, this is the first thing most people do when they decide to decorate a room: they go to the paint store, pick up paint chips, pick out a color and paint. Then they have the toughest time decorating the entire room because nothing matches that paint color that they picked out. We’ve all done this. I’ve done it. When I bought my first place 7 years ago, I was so excited to not be renting anymore and finally have the freedom to paint the walls. The first thing I did was pick out a blue color for the walls. Why? Because I liked blue and I found a blue that I liked on a paint chip. Of course it looked different on the walls than it did on a paint chip (we’ll get to that). After painting the walls I sent back 3 sofas, seriously….3, because none of them looked good with my blue walls. I continued to struggle finding furnishings because nothing went perfectly with my paint color, and I ended up with blah decor with blue walls because the color looked good on a paint chip. Warning: Shield your eyes, it’s not pretty! The blah decor and wall color doesn’t seem to bother little Ry however. Save yourself a headache (and painting labor) and choose your paint color last. There are so many more paint colors out there than there are fabrics, furniture, and accessories. Making a decision on your paint color first limits yourself on ALL of the other decor in your room. 9 times out of 10, you’ll be disappointed and end up either living with blah decor because it doesn’t clash with your paint color (like I did) or repainting. Stay with me here, this sounds more difficult than it is. There are very few true colors, most will have undertones of another color. You want to ensure the undertone of your paint color is in the same family as your decor. Say for instance your color scheme in your room has cool blues and grays, and you want to paint the walls a soft gray as a backdrop. There are thousands of grays, but cool grays will compliment your decor better than warm grays in this scenario. If you’re unsure of the undertone, look at the darkest color on the paint swatch, that should give you a hint. If that doesn’t work, put it against something that is pure white like the pictures below. 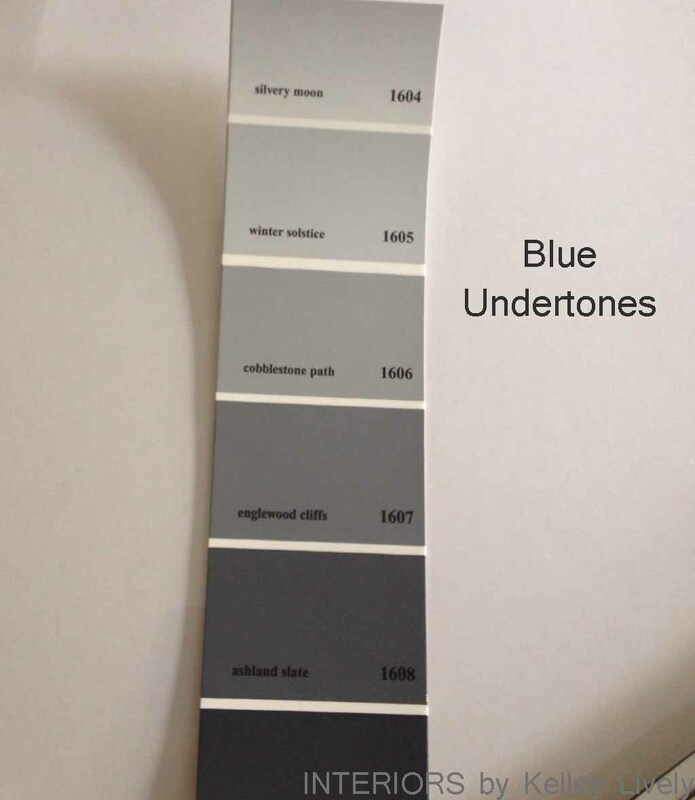 If you look at the top two colors of each chip (the lightest) they all look gray, but if you look toward the bottom of the paint chip, the undertone becomes more apparent. Consider the undertones of colors in the rooms close by and throughout your house. 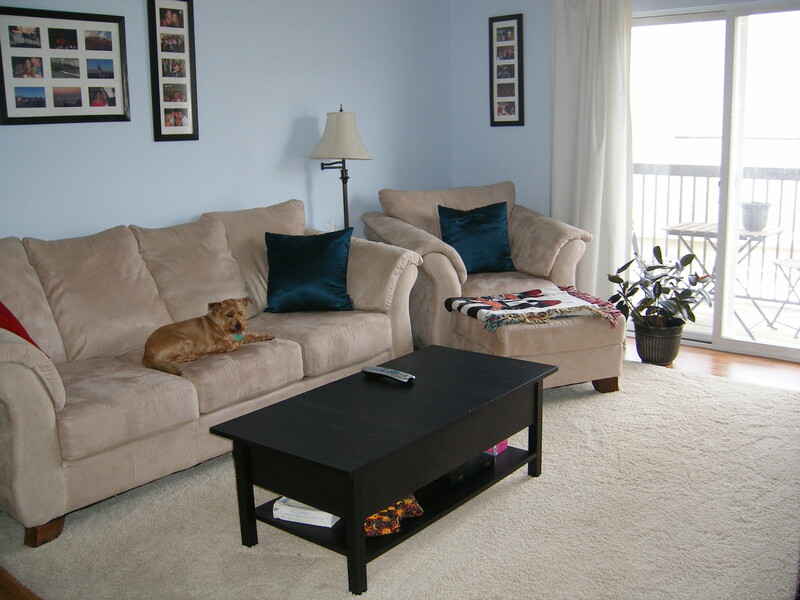 For example: we painted our living room Revere Pewter by Benjamin Moore. It has warm undertones, as does our bathroom color: Cos Cob Stonewall by Benjamin Moore. So when we went to paint our kitchen and hallway (which is between the living room and bathroom), we needed something that would compliment both colors, not just the colors of the decor in that room. 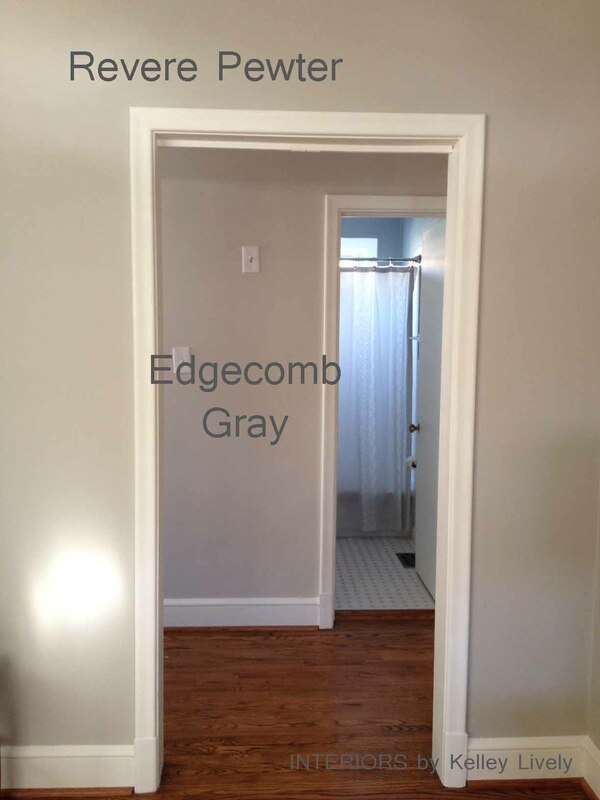 We went with Edgecomb Gray by Benjamin Moore which is right next to Revere Pewter on the paint chip. It almost looks like the same color in the below picture because our living room gets more light than the kitchen and hallway. We could have gone with Revere Pewter in our hall and kitchen as well, but it would be too dark for the room. Going with one shade lighter solved that problem and allowed the rooms to flow. The paint chips are organized the way they are for a reason. 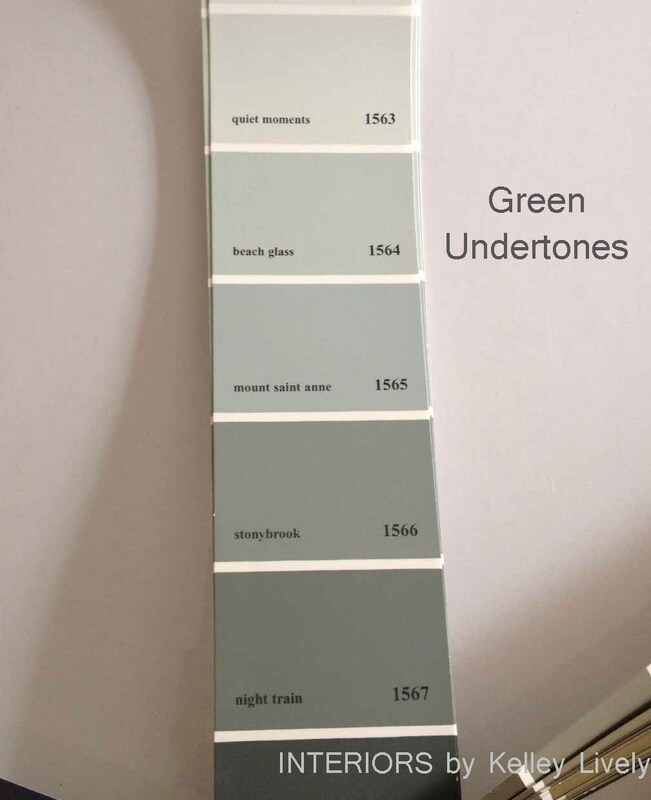 Complimenting colors are grouped together on paint chips, so a good way of ensuring you have a natural flow through a home is to choose colors from the same chip. 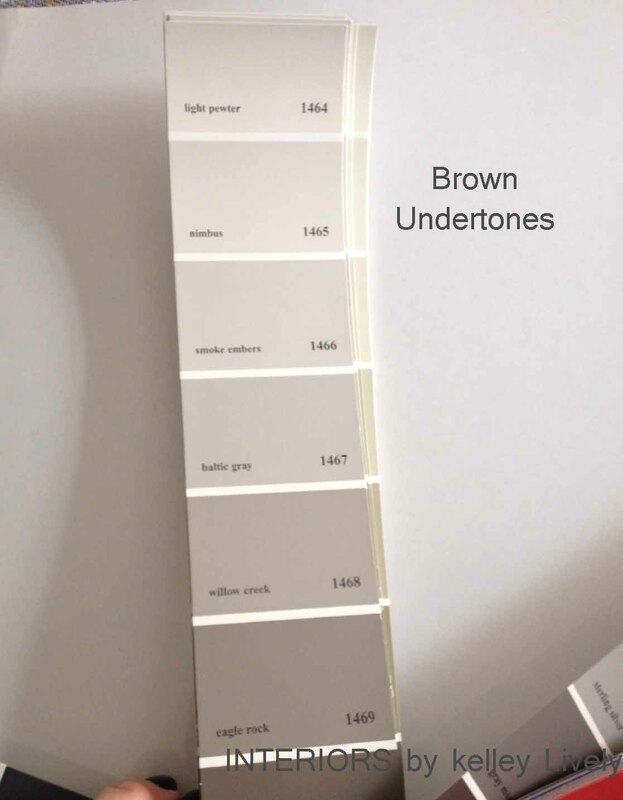 A friend of mine also told me about how she used a preset color scheme at Sherwin Williams to figure out what color to paint each room, ensuring it would flow. Benjamin Moore does this as well; check to see if your paint store has this option…take a lot of the guesswork out of the equation! This isn’t the end all be all method of choosing paint colors but it can help to see what colors will look like on a larger scale. 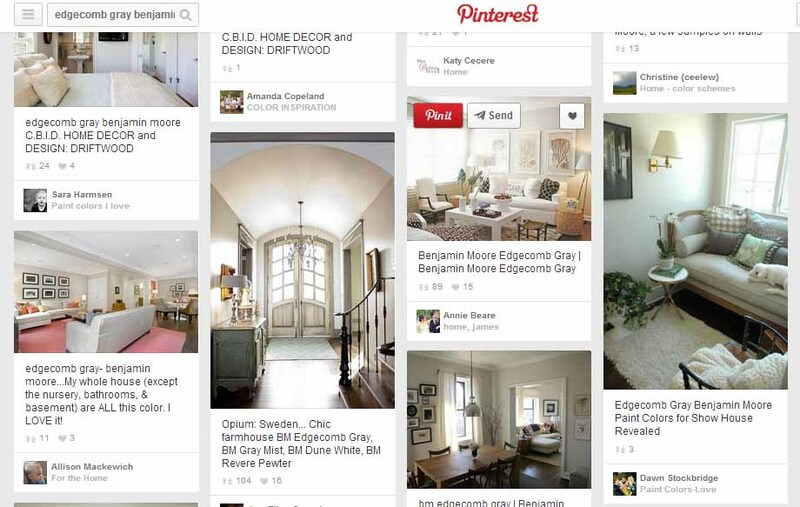 Just search for the paint color name in Google Images or on Pinterest. Keep in mind that lighting is different in the image versus your own home, and your computer screen will make the color appear a little different. I always do this after I’ve narrowed it down to a few colors just to see how it looks in other rooms. Paint will always look different in your lighting versus the paint store, so it’s always good to sample the paint on your walls before buying a large amount. There are a lot of ways to do this, tape a paint chip on the wall, buy a sample pint or quart and paint swatches on the wall, or paint poster board and hang it on the wall. If you’re still unsure, paint larger swatches on multiple walls. Also, be sure to look at the swatch vertically (if the color you’re choosing is for the walls), not laying down on a table. The color will look completely different. Live with the swatches for a while, during different times of day, when it’s cloudy and when it’s sunny. 5. Go with your instinct. Paint has a huge impact on a room, but try not to over think it (coming from the girl who has lived with paint swatches all over her house for months). I think it’s good to take your time, not rush into painting and go through steps to narrow down choices, but it’s just paint. You can always repaint. If you’re picking a paint color for the whole house, start with one room and see if you like it. It will more than likely look different in other rooms but at least you can get a better idea if you want to continue with that color. 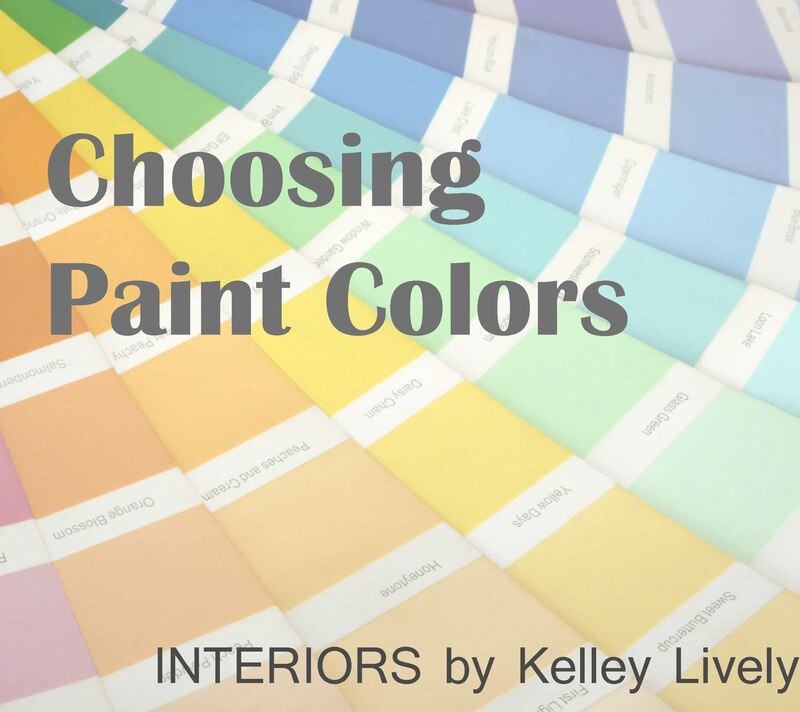 I hope these tips help in picking out paint colors for your own home. If you have any questions or tips that have worked for you please leave them in the comments! If you have a decorating dilemma, please contact me and I’ll be sure to address it in this series! Tip #5 is my favorite! 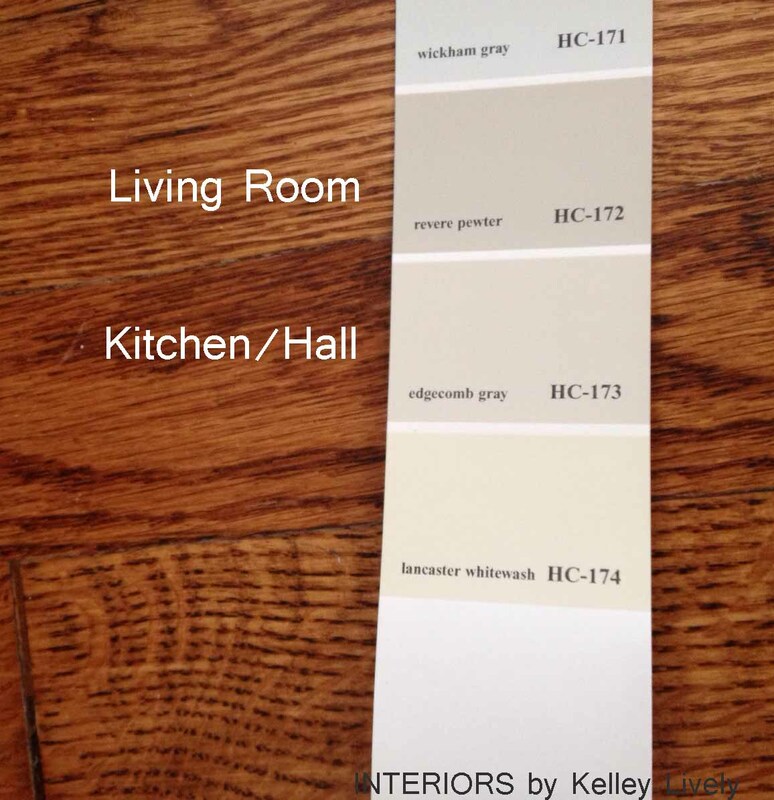 I usually over think paint colors and am learning to go with my gut – it’s usually right! (It also helps keep the paint samples to a minimum 🙂 Thanks for the helpful tips! Thanks for your note! I know, I think that’s the hardest step! Is it possible to pick one color for all the areas? For open spaces it’s hard to transition from neutral to neutral, if you can pick one that will go well in the entire space it will unify the areas and cut down on the headache of picking multiple colors! Thank you, I think that is probably my best bet. I’m sure there is no perfect color just hoping to find a color that works well throughout the house.